Hey, didn't Tim Good do a book with this title? Of course he did, which I'm sure will create some confusion. But Jim Marrs can be forgiven for making use of the same book title - in this case, it's named after the popular Internet forum, abovetopsecret.com. The relevance of that choice runs through the whole book. Essentially, this new book by Jim Marrs is a mini Encyclopaedia Conspiratoria, based upon a selection of 19 topics from the ATS on-line forums. The excellent foreword to the book, written by Bill Irvine, provides the background for the phenomenon that is abovetopsecret.com, and sets the scene for Jim's compact and succinct summaries of the various conspiracy theories on offer. I can imagine a novice to the genre, perhaps having read 'The Da Vinci Code', logging on to the forums for the first time, and struggling to get to grips with what on earth everyone's talking about on there. The sheer complexity of many conspiracy theories means that many readers must struggle to get up to speed with the many hardened forum contributors. So, this book by Jim Marrs is certainly an invaluable aid for those Da Vinci Code freshmen. But, of course, it is a lot more than that. Jim is a superb writer, and presents a tapestry of alternative knowledge in an engaging and relaxed manner. In a way, you could argue that he's re-packaging the work of others; conversely, the forums repackage the work of authors like Jim, who are then bringing the subject matter home by writing another book. There's a healthy symbiotic relationship going on here between the author and enthusiast, both of whom have much to learn from the other. The quotes in the book from the abovetopsecret.com forums are kept anonymous in the book. Many permeate the book as highlighted quotes, graphically set as if on a computer screen. But even when the contributors are quoted in the main text, they are kept anonymous. This was presumably an understanding between Jim and the owner of the website, to maintain confidentiality. But it gets weird when contrasted with the direct quotes from named sources from other websites, and reports. For instance, when the book covers the remarkable UFO that appeared over Gate C17 of Chicago's O'Hare International Airport, one ATS member was a witness, and his/her account, which was published on the forum, is quoted at length in the book. Yet, the ATS member becomes anonymous as a source here, in keeping with the apparent policy through the rest of the book. To my mind, this has the effect of detracting from his/her testimony. I'm not sure how seriously to take a lot of these conspiracies, based upon how they are written up in 'Above Top Secret'. Although I think Jim has very fairly examined the topics in a balanced way, the supporting evidence behind many of the claims he summarizes is not provided. On reflection, I realised that this was the whole point: it is up to the reader to take the material provided in the book as a springboard for their own research. Helpfully, at the start of each chapter is a link to the ATS website to look up additional evidence and commentary, and from there into the forums to discuss this data at length. This allows the reader to embark on their own quest for Truth. Essentially, the book's bibliography is ATS. Do I believe everything written in this book? No, and I doubt Jim does either. Reviewing ATS must be like putting on a blindfold and dipping your hand into a tin of assorted chocolates when you don't like the nutty ones. Jim does a good job of presenting the various ideas in a non-judgemental way, carefully choosing his words to discern fact from likely fiction (or definite fiction, in my opinion, like the John Titor writings). Did I learn anything? Absolutely. I loved the chapters on the Federal Reserve, the Nazi Base in Antarctica, and the various anomalies presented by our Moon. All of the UFO stuff was top drawer. 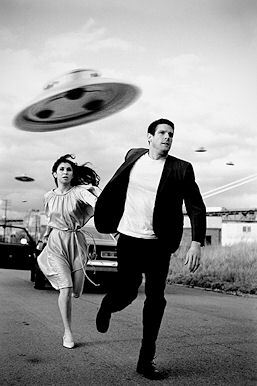 The section on JFK was authoritative, as one might expect from Jim Marrs, and the Roswell chapter very helpfully included a list of the main witnesses and brief summaries of their testimony. However, the areas in the book which dipped into New Age metaphysics were less satisfying to me, personally, but I can imagine that they are popular with many ATS members. All in all, 'Above Top Secret' was a very enjoyable read. It is a book I will reach for when wanting to read around a subject I hear about over the Internet. Finding information in the book is straightforward, and the material within clearly and concisely laid out. It's also very cleverly packaged and presented (I love the way the corners are cut off). The book is already a best-seller, and will likely remain so for some time to come. Subtitled: "Uncover the Mysteries of the Digital Age"